If you take business trips in the Northeast, it's worth considering taking an Amtrak train for your next trip—especially if you're traveling between Boston, New York, Philadelphia, or Washington DC. You're able to skip the security hassle of airports and flying as well as save yourself all that wasted time getting to and from airports and waiting for flights. For business travelers, one of the great features of an Amtrak trip (either the Northeast Regional or the faster Acela service) is the Quiet Car. But it can be hard to know where the quiet car is on any specific train. 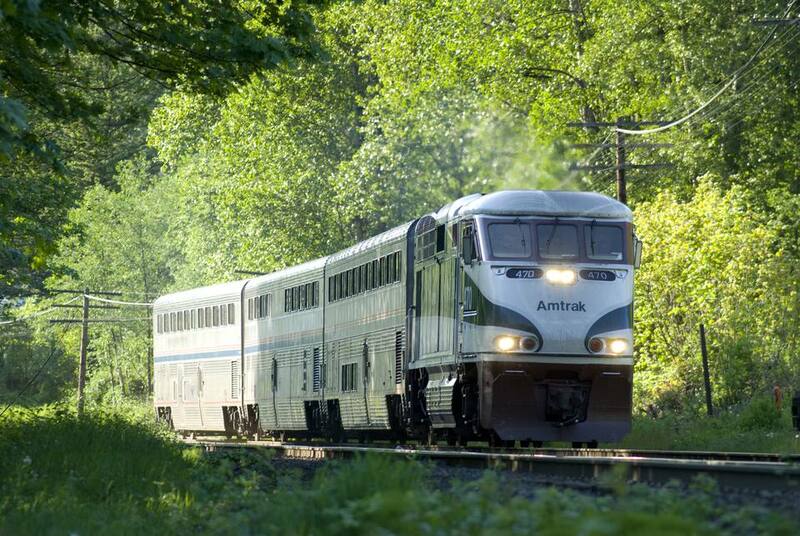 That why we've compiled these tips for finding the Amtrak Quiet Car on your next train trip. Unfortunately, there's no reserving a seat on the Quiet Car. You have to simply find it, and hope there's a seat on it when you board the train. According to Amtrak, the Quiet Car may actually be located anywhere on a particular train. So the best way to locate the Quiet Car is by asking a conductor or ticket taker where the Quiet Car is located. However, there are some basic guidelines on where to look for the Quiet Car. On the Acela Express, it's next to the First Class car. On the recent trips, the Quiet Car on the Acela has been the second car from the back of the train. On the Northeast Regional service, the Quiet Car is next to the Business Class car, which on my recent trips has been at the front of the train. Amtrak's website lists the location of its Quiet Cars on other trains as follows: on its Keystone trains, the Quiet Car is next to the engine; on Hiawatha trains, it's the rearmost car; on certain Empire Corridor trains it's next to the engine. On any other train, check with the conductor. On both Northeast Regional and Acela trains (as well as other "corridor" trains) Amtrak has a Quiet Car for travelers who want—you guessed it—quiet! The Quiet Car is actually just like any other car on the train you're on, except that it offers a quiet and peaceful atmosphere for travelers. That means there's no talking on cell phones! If you need to make or receive a call while you're in the Quiet Car, you should exit the car and take the call in between cars or in the cafe car. Passengers can talk in the Quiet Car, but Amtrak requests that you talk quietly and only for limited periods. If you're planning on chatting for the whole trip, you should instead take a regular (non-Quiet Car) seat. Amtrak also usually tries to keep the lights slightly dimmer on the Quiet Car, although they're not dark by any stretch of the imagination, and you can always turn on the reading light if needed. As noted above, there's limited talking and no cell phone usage. Passengers are not allowed to use any device which makes noise. That means no cell phones, music players, portable DVD players, or laptops with the speakers turned on. If you're using headphones, make sure the volume is kept down so that they can't be heard by other people.